There are 186 Gearbits to collect, you can’t miss anyone – you always can go back to collect it. 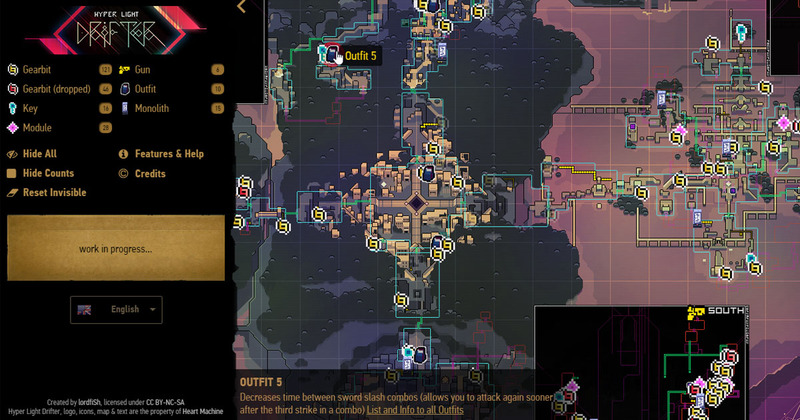 Take my map to track your progress, right-click (long press on mobile) to mark them as collected. If you have anything collected and bought all the Upgrades you should have 6 Gears and two bits left.